Ask a Solicitor: Who would look after my children if something happened to me? 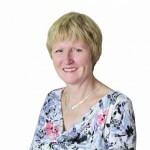 Senior Director at Carr & Co Solicitors Valerie Wormald answers your legal questions. Today we have a question from a young lady who is worried about what will happen to her children if she is no longer around. We are not married but my partner is like a dad to my children. My friend recently died and now her boyfriend is in a legal wrangle over the kids. It set me thinking… who would look after them if something happened to me; their real dad or my partner? Planning for your children is always a difficult issue and contemplating who should look after them if you were to die before they have grown up is a decision that should not be taken lightly. You do not say how much involvement the children’s father actually has with them or indeed whether there is any contact with his side of the family. Is their father in a position to look after them or possibly a member of either of your families? Keeping links with each parent’s family is important for the children especially as they would more often than not be involved in helping the children come to terms with the loss of their mother. From the information you have given, your boyfriend has no legal rights over the children and would not be in a position to automatically claim them. You could appoint him as a legal guardian of the children on your death by making a Will with a Guardianship clause inserted into it. Whilst the surviving parent would usually be considered as the appropriate person to look after the children, if there was then a dispute, which needed to be decided by a Court, then this appointment would be considered seriously. However, a Court would look at a number of factors and consider what it believes to be in the best interests of the children. You need to think about the ages of the children and their wishes. How is your boyfriend to deal with practical issues such as their education and financially maintaining them? Would he feel that he could take on the responsibility of bringing up your children with all the emotional upheaval that would go with it and possible challenges from natural family members? I regret that there are no simple answers to this difficult problem. I would suggest that you should discuss it with your family and boyfriend and children’s father to try to work out what would be most appropriate. Take legal advice as to all of the options available to you. I have only touched on a few here. There would be nothing worse for the children if there were to be a legal wrangle in the Court between opposing family members. If you are having similar issues contact us today on 0191 284 0363 to speak to a solicitor.